This text of death from AT&T didn’t surprise me. We reported awhile ago that AT&T was beginning to crack down on tethering that wasn’t sanctioned through their official tethering plan. What surprised me was that I thought I’d been careful, meaning, I thought I’d played it safe with how much I’d been tethering. After calling AT&T, I discovered some interesting information that might help those of you in a similar position. Before I get into my story with AT&T customer support, I’ll explain the situation. In case you didn’t know, “tethering” is the act of sharing your mobile device’s data signal with other devices. 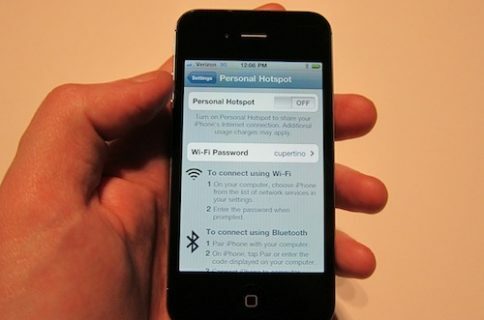 You can tether through Wi-Fi, Bluetooth, or USB. AT&T offers a 4GB tethering plan for $45 a month, with a $10 overage charge for every 1GB you exceed. 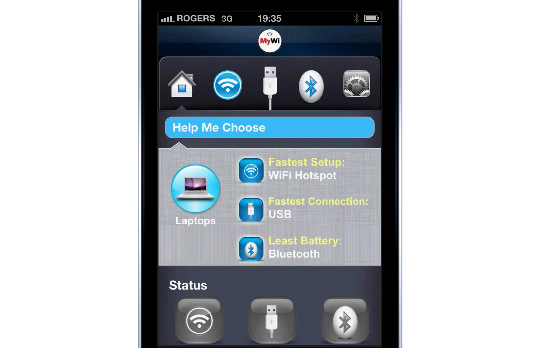 If you jailbreak the iPhone, you have the option of using a handy app called MyWi. 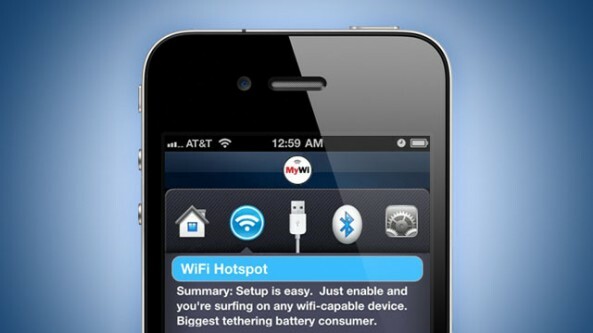 MyWi allows you to use your iPhone to tether outside of AT&T’s tethering plan. It’s basically unlimited tethering and mobile hotspots through your 3G connection. Because you are not going through AT&T’s payment infrastructure, the carrier has not recognized when you were unofficially tethering. I use the past tense because, as of late, AT&T has begun to hunt down people like me who use MyWi to tether without a paid tethering plan from AT&T. Even if you have an unlimited data plan (which I do), AT&T still feels that it has the right to dictate how you use that data. 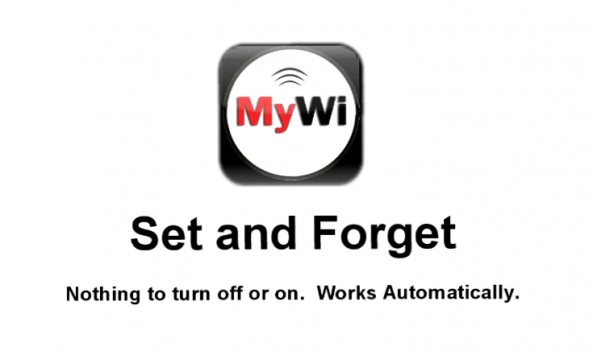 I’ve been using MyWi to tether from my iPhone to my laptop on and off for almost nine months. I always had the feeling that AT&T may one day realize that their precious customer wasn’t following “the rules,” so I tried to be careful about my usage. When I heard that AT&T was starting to send the texts of death to customers that were suspected of unapproved tethering, I became even more careful. I figured that the network was probably monitoring bandwidth to tell if someone was hogging data. The data hogs are usually the MyWi people like me. I figured that if I only browsed the web, checked email, and did other low-level data operations with MyWi, I’d be alright. As long as I wasn’t downloading music or streaming Netflix, AT&T wouldn’t be able to catch that I was actually tethering, right? Apparently that wasn’t case. Out of the blue today I got the text of death letting me know that AT&T had noticed tethering activity on my account, and that I would be upgraded to the paid tethering plan if the activity continued. Needless to say, I was crushed. I thought I had been careful. I hadn’t used a ton of bandwidth while tethering. But I guess AT&T is using more sophisticated methods like packet sniffing (you can read data packets and tell if they come from a desktop machine or not) to find the tethering perpetrators like me. I decided that I should immediately call AT&T customer support to get the scoop on what was going on. The text of death I got was just a warning, but it still needed to be followed up on. After a glorious 35 minute hold (with that annoying woman’s voice trying to sell me plans and give me tips), I was greeted by a wonderful AT&T rep named Brenda. It was late in the afternoon, and it sounded like Brenda was ready to end what had been a very long day. Once the greeting and account verification stuff was done, I decided to play dumb. I wanted to see how Brenda would respond to me if I acted like I new nothing about what jailbreaking meant. 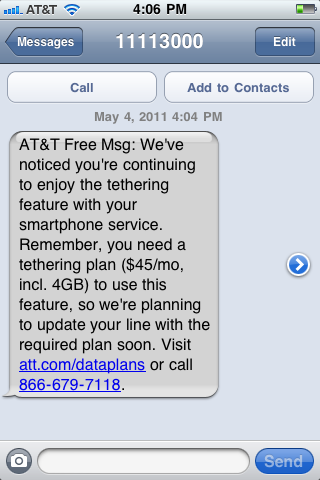 Brenda ran a test on my account and re-stated that AT&T had picked up on tethering activity coming from my line. She then proceeded to ask me if I knew what “tethering” was. I’m usually an honest man, but for the sake of experiment, I said no. Oops, that’s me. My iPhone is jailbroken. I continued to play dumb and Brenda explained that AT&T would be emailing me and sending me a letter with the same info as the text of death. She kindly told me that this message was simply a warning, and that my data plan was not being changed. Brenda did tell me that AT&T would contact me again and change my data plan if anymore tethering activity was noticed on my line after May 13th. Because I’m grandfathered into the coveted unlimited data plan, it would be especially catastrophic for AT&T to change my plan on me. I continued to play dumb as to why my account would be showing tethering activity. I wanted to see if Brenda could give me explicit evidence for AT&T’s claim that I had been tethering, but she would not. Brenda kindly informed me that Apple had released iOS 4.3.3 earlier that day, and that I should check in my iPhone’s Settings to make sure I’m running the latest firmware. She then said that there were “several patched security bugs” for tethering in the latest version of iOS. She said that upgrading iOS would help ensure that no one could unofficially tether with my iPhone. 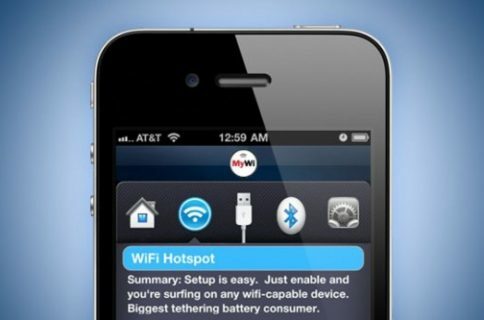 Am I going to continue to tether with MyWi until I get a second warning from AT&T? Yes I am. It took them awhile to discover me tethering, and I have a feeling I may slip through the cracks again. Several people in similar situations have said that playing dumb and saying you stream a lot of Netflix and Pandora on the iPhone will get AT&T off your back. No such tactic worked for me with Brenda. Have you run into an experience like this with AT&T? If you are a heavy MyWi user, are you afraid of getting shut down by Big Brother? Share your stories with us below!